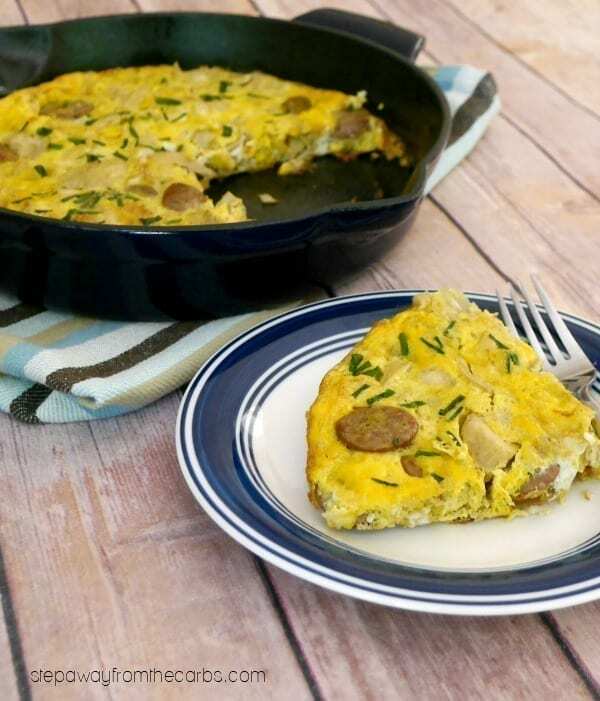 This sausage and artichoke frittata is a great way to start the day! 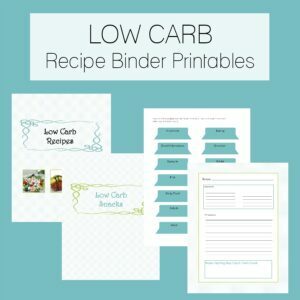 Low carb, dairy free, and keto recipe. 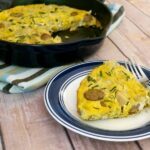 Whether you make this for breakfast, brunch, or lunch, you’ll love the simple combination of flavors in this delicious frittata! Add some olive oil to a large oven-safe sauté pan. Note: I used pre-cooked sausages for this recipe (super tasty Italian sausages from Klement’s), but if you are using raw sausages then they will need a longer cooking time. 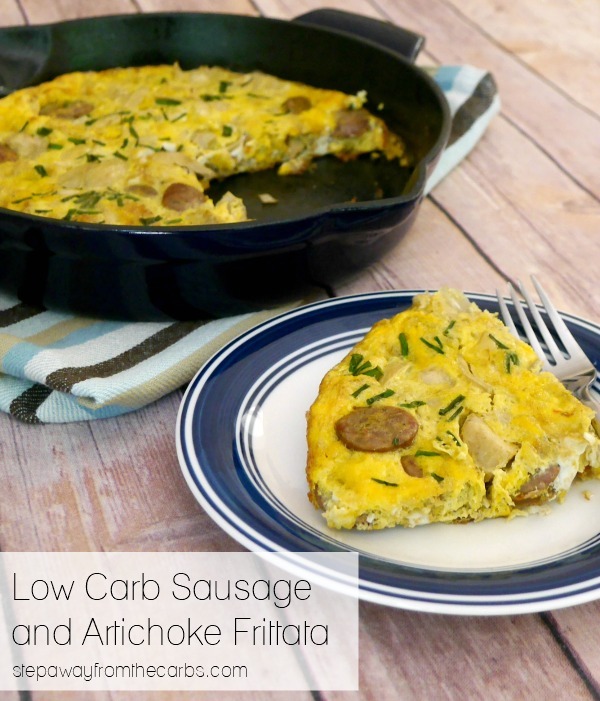 Cook the sausages for a few minutes, then add in beaten eggs and chopped artichoke hearts.I used a small jar of marinated artichokes, and I love the slightly vinegary tang that they added to the frittata! Season with salt and pepper, and stir well to ensure that the sausage and artichoke are well distributed. Cook for five minutes on medium heat until the base of the frittata is sealed. Add some chopped fresh chives over the top, then transfer the pan (I love my Anolon cast iron skillet!) to a preheated oven. 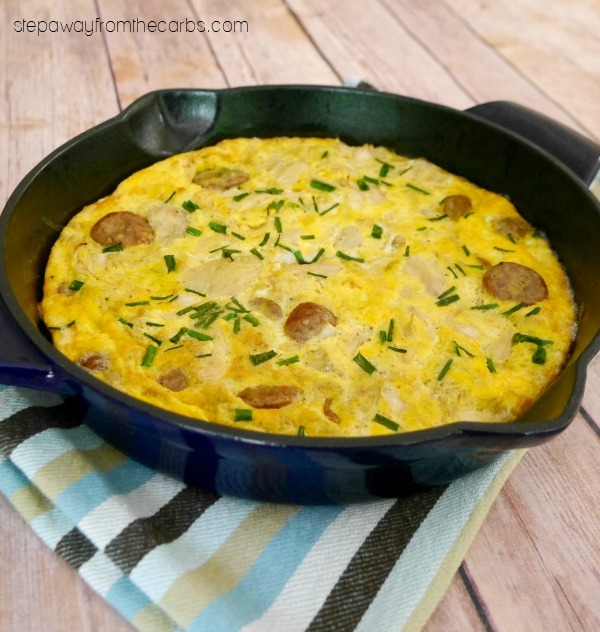 Cook until the frittata is completely cooked. 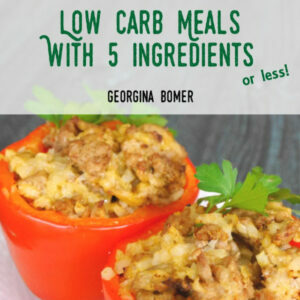 This recipe makes enough for four modest portions, or two large ones! So it depends whether you are serving this for breakfast, lunch, or brunch – and whether you are serving anything with it! 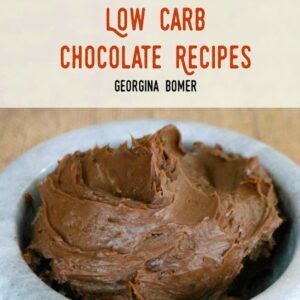 Add some bacon slices, and you have breakfast. Add a salad, you’ve got a tasty lunch! 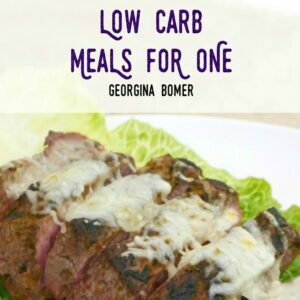 And if you have any leftovers it makes a perfect quick breakfast the next day! Add the oil to a large oven-safe sauté pan. 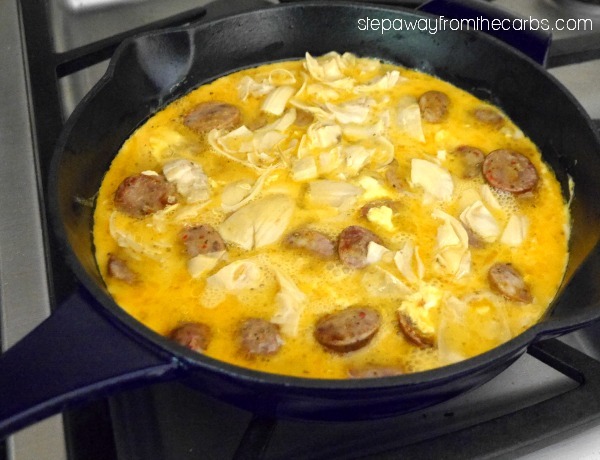 Cook the sausages for a few minutes, then add in the eggs and artichokes. Cook for five minutes on medium heat until the base of the frittata is sealed. Add some chopped fresh chives over the top, then transfer the pan to the oven. Cook until the frittata is completely cooked, about 7-10 minutes. 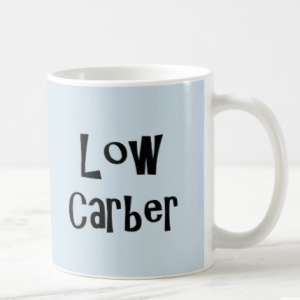 3g net carbs per serving (if serving 4).